Whole House Reverse Osmosis Systems, are for the individuals that want just the best water quality available for all uses around the house and above all take advatage of what Simply Pure Water has to offer to health. If pure water is what you want, a reverse osmosis drinking system is what you need! Contaminated water and its negative effects on health have been making a lot of headlines lately. The water crisis in Flint, Michigan involving lead prompted increased scrutiny of public water around the country. No matter where you live, there’s a lot more than just H2O in your home’s water. 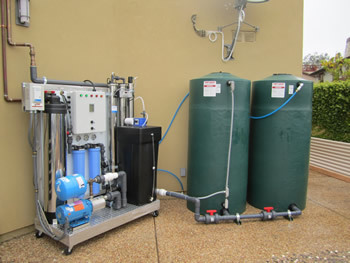 However, with a reverse osmosis system, you can drastically reduce those unwanted contaminants. The special membrane filters out the microscopic organisms and heavy metals. Lead, radiation, arsenic, copper,nitrates and nitrites (hexavalent & trivalent), chromium, selenium, fluoride, radium, barium, cyst (cryptosporidium), total dissolved solids (TDS) and 118 other contaminats found in Florida's Water Supply. A SPWTS reverse osmosis drinking water system partnered with a water softener allows you to enjoy the benefits of both soft water and purified drinking water. Plus, SPWTS R.O. systems are more efficient when they start with soft water. You’ll Stop Buying Bottled Water! If you don’t like the taste of your tap water, or you’re concerned about what might be in it, there’s a good chance you’re buying bottled water all the time. Bottled water is expensive. Those plastic bottles create a lot of waste as they all too often go unrecycled and end up in landfills. Plus, the bottom line is much of that bottled water isn’t as pure as you think . It’s just like filtered tap water in most cases. In the U.S., one study found we spent more than $15 billion on bottled water in 2016. A reverse osmosis system will pay for itself in no time because you’ll only be paying pennies per gallon. Plus, whenever you need clean drinking water, it’s right there at the tap. The impurities in your home’s water are going to affect the taste of the food you make. That makes a lot of sense when you think about, because the water you cook with often ends up in your food. When you boil pasta, make soups, or bake homemade bread, pure water can make a big difference. If you’re using municipal tap water for cooking, there’s a good chance you have too much chlorine in it. That will not only cause food to taste odd, it discolors it as well. You’ll also find that coffee and tea taste better with reverse osmosis water. FineCooking.com even points out the fact that many of the best restaurants now exclusively use Reverse Osmosis water for cooking . Have you ever noticed how when you make ice cubes they tend to look white and cloudy? The reason for that is the impurities and gasses in your water, which crystalize as it freezes. Ice forms from the outside in, and as this happens the impurities are forced to the center of the ice cube, resulting in the cloudy appearance. If you like making eye-catching cocktails, crystal clear ice cubes will look fantastic in your drinks. But there’s more! Cloudy ice cubes have been shown to be softer and melt faster than clear ice cubes with pure water from a reverse osmosis system. That means ice cubes made with an R.O. will keep your drinks cool longer without watering them down as much. Reverse Osmosis Water Tastes Delicious! Perhaps the best reason to have reverse osmosis drinking water in your home is how great the water tastes! When you remove all those impurities, you’re left with nothing but clean, refreshing water. In addition to the membrane that filters contaminants, Water-Right’s reverse osmosis systems send your drinking water through three carbon filters before it comes out of the tap. The last carbon filter is simply a “polishing” filter to make sure any lingering tastes or odors are removed. After getting a reverse osmosis drinking water system, people noticed a major difference in both the taste and appearance of his water. Many families who start using an R.O. Find themselves drinking more water and less sugary juice, sports drinks, and soda. The only thing skeptics of reverse osmosis can point to as a disadvantage is that reverse osmosis systems filter out minerals, which they assume are valuable to their health. In reality, you should be getting most of the mineral your body needs from the food you eat. Furthermore, the dissolved minerals found in drinking water are organic, which means your body has a difficult time absorbing them. This negates any potential health benefits. 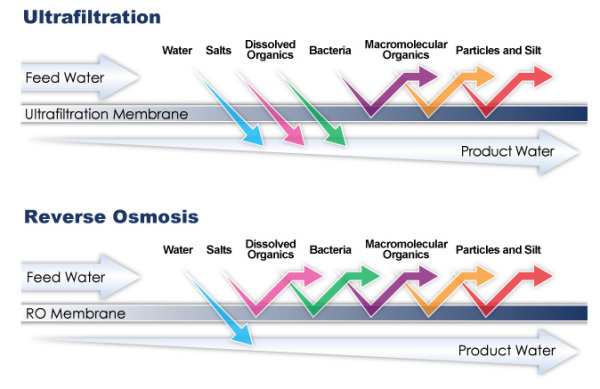 The bottom line is that the impressive benefits of reverse osmosis water far outweigh any minor objections. Now you can enjoy the highest quality of purified water at every faucet in your home. With a SPWTS Whole House Reverse Osmosis System there isn't any guessing what's in the water, you know that it is just Simply Pure Water.